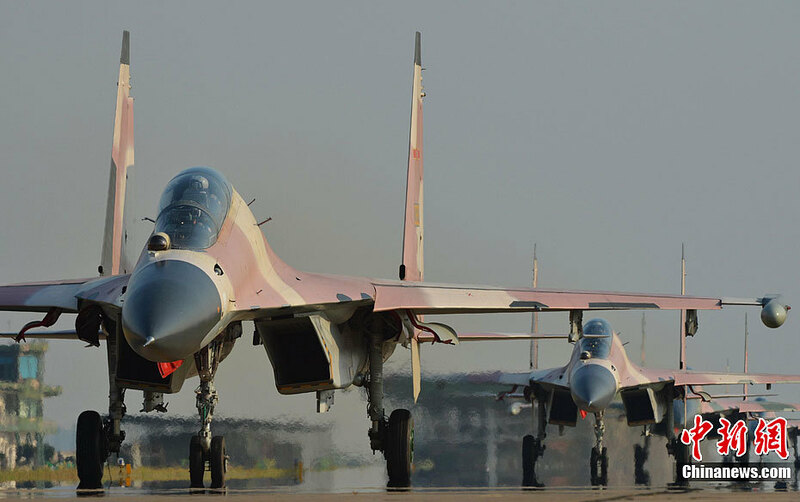 Chinese internet news portal Sina has published a couple of interesting photos (via Chinanews.com) of at least three of China's People's Liberation Army AF (PLAAF) Sukhoi Su-30MKK multi-role fighters sporting desert camouflage. According to the captions provided by Sina, the photographs were taken on the 6th of September during a live-fire exercise conducted by multiple PLAAF fighter divisions, attacking maritime targets at low level in a simulated combat environment. 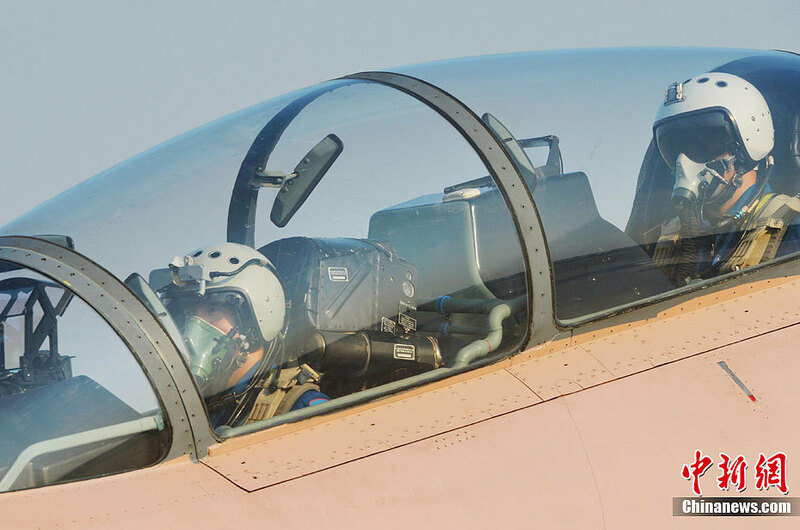 The second photo provides an excellent study of the Russian ZsH-7AP helmets with the KM-34D II/KM-35 hybrid Oxygen Mask worn by the PLAAF Su-30 crew. Update: China Defense Blog reports that the exercise features Red-vs-blue air-to-air combat scenarios, and the desert camouflaged Su-30MKKs served as the Blue Force's "bad guys" during the exercise, which was reportedly held in the Guangzhou Military Region. It had previously reported that the 8th PLAAF Flight Academy operates the Su-30MKK in an Aggressor role.